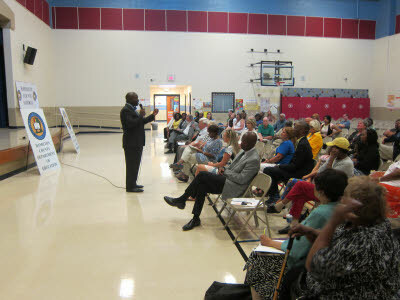 HCDE Superintendent Dr. Bryan Johnson's Community Listening Tour is in the books. 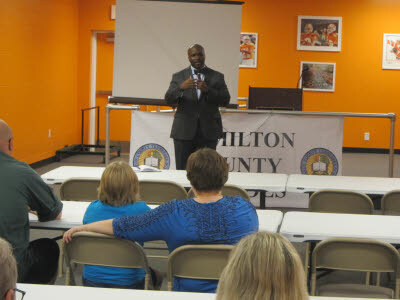 Dr. Johnson spent the entire month of August crisscrossing Hamilton County, listening to educators, parents and community members in all nine HCDE Board districts. 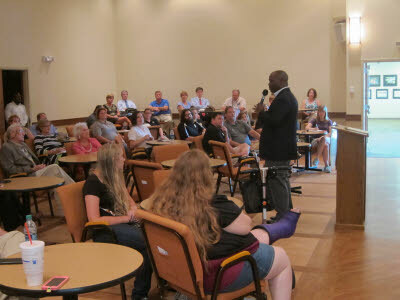 He heard from over 600 stakeholders about areas of success, challenges and answered questions. 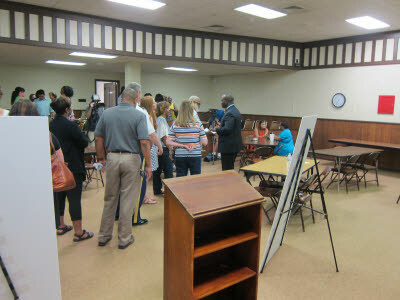 The Tour began in District 6 on Aug. 3, at The Teacher’s Place and wrapped up Tuesday night in District 1 at Soddy Daisy High School. At each stop, crowds spoke about and asked questions on several topics including teacher retention, deferred maintenance, new teacher mentoring, the leadership pipeline, parental engagement, arts education, and many other issues facing public education. 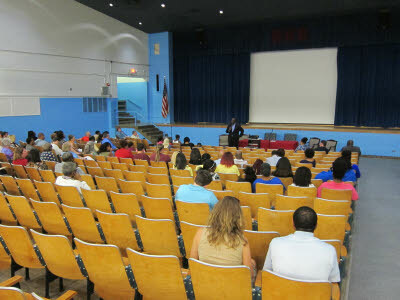 Each meeting brought out roughly 50 teachers, administrators, parents, community members and elected officials. HCDE will use the information shared to inform the work of the transition team and to guide the district’s strategic plan development.